The event is scheduled for Sunday at 1 p.m. 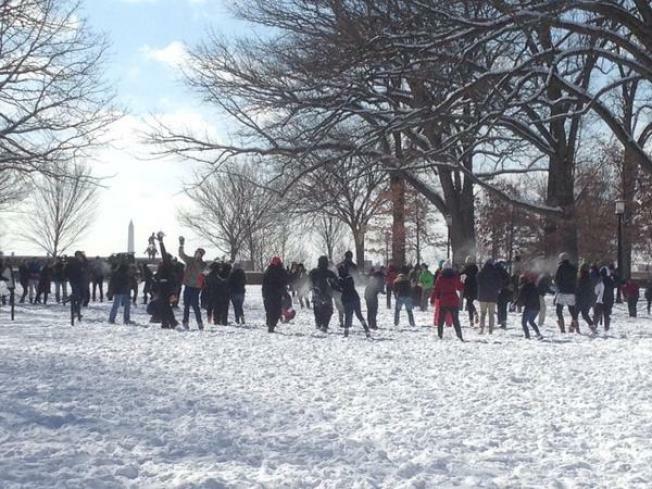 The Official 2016 Portsmouth Snowball fight is scheduled for this Sunday at 1 p.m., but the forecast isn't predicting snow until at least Sunday night. The organizers of the event created a Facebook event page to alert people of the time, place, and day for the event. However, some participants were anxious about the lack of snow. Bill from Rye, New Hampshire, suggested "BYOS" or "bringing your own snow." Jeff Weakes asked whether or not the snow should be replaced with squirt guns. But Will Patterson was optimistic and posted, "IT'LL HAPPEN." Hopefully Mother Nature is on their side!